Ian came to High Brake House from another care home in the area in October 2017. 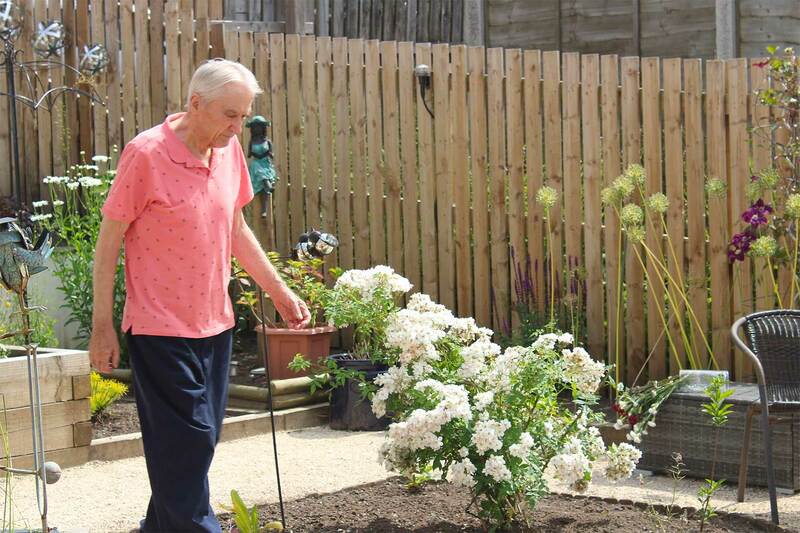 He lives with dementia, and daily tasks he could once achieve with ease are now virtually impossible due to his deteriorating memory and behavioural triggers. He receives full assistance from our team to ensure that life is as fulfilling and stress-free as possible. Ian was born in Manchester in the 193o’s, and moved to Great Harwood near Clitheroe at 12 years of age. He attended technical college in Padiham, before becoming a cadet and studying general nursing at Brockhall Hospital, where he went on to become Senior Nursing Officer. He was Manager of Community Services for the mentally handicapped in Blackburn until his retirement at 55. He continued to work part-time as a nurse at Hazeldene nursing home, and was very well respected in the nursing community. Ian is a proud man, and High Brake House’s layout promotes his independence. There are minimal restrictions on his movement, yet it is a secure environment, with magnetically controlled external doors and CCTV in its corridors allowing for supervision in a less intrusive manner. Ian can often be found strolling through the corridors and communal areas, engaging with people who chat with him. He enjoys sitting and relaxing in the lower lounge and in good weather can be found in our garden. Ian’s story is just one example of the dedicated care and support we provide every day. If you would like to learn more, just call Hannah or Sofia on 01200 538110.